As usual, I had a lot going on during the month related to business, so I'd like to share a few highlights. Overall, you will see that it was a good month. 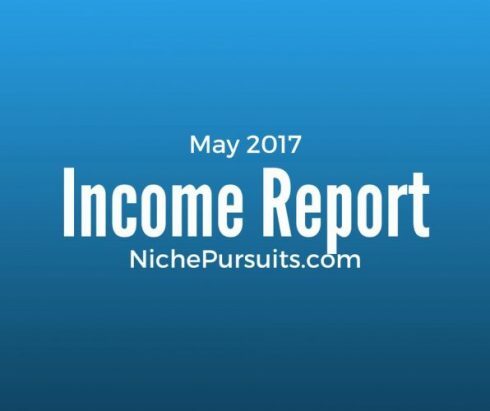 My total income was up a couple thousand dollars this month, and I also launched Niche Pursuits Insider. For now (and maybe always), I don't plan on revealing the income for Niche Pursuits Insider. But if you are wondering, when all you charge is $1 trials the last few days of the month, the actual income isn't that significant. However, as people stick around (which most are), the income for June will be significant for Niche Pursuits Insider. I'm also very excited about my “Music Brand” that you can see below. The income over doubled during May, and the early signs in June point to another growth month. So, the income for NichePursuits.com is down by about $1,200 for the month. The biggest drops were from Long Tail Pro (expected since I did a promotion the previous month), and AMZ Affiliate Bootcamp course. Again, I expected this to be down, since Tung did a guest post in April which is really what brought in the sales. Thrive Themes were up, mostly due to Jason's epic post about the best WordPress themes here. Finally, I have to mention Niche Pursuits Insider even though I won't be revealing the income. The launch went better than I expected! I had a goal for the number of new members I hoped would sign up. We ended up doing about 33% more than I expected. We now have a very active private group in Facebook and we have live training starting this week (along with all the recorded blueprints in the member's area). 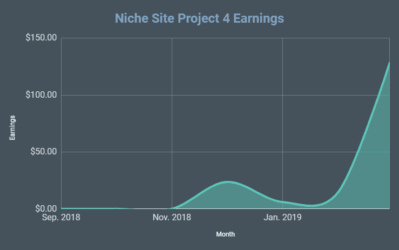 The income for Niche Pursuits Insider will be significant, and I expect it to grow quite a bit over the next year. (If you are wondering, the doors are closed to new members…but we expect to re-open in a month or so). The other thing of note is that I have a software product in the works which is getting much closer to being completed. I'm hoping that in the next month, we can begin beta testing with users. Then ideally, I could launch it publicly in 2 months or so. I'm happy to report that the “Home Goods Brand” is back to where it should be. As you may recall from my last income report, the earnings were down a bit due to Amazon/Inventory issues. However, our best selling products are back up and selling like they should. Nothing is perfect, some ups and downs…but an overall increase is something I can live with. Jason is diving into Google ads (both search and content network) for this brand. We tried Facebook ads, but found that it wasn't a very good fit for this particular audience. We are hoping to get paid traffic profitable and then scale. We've got the landing pages all built with Click Funnels and are ready to go. I'll report back next month on the results. The fitness brand was basically flat for the month. Our existing products are chugging along, and I'm okay with that. We do have 2 new products (that I've mentioned before), that are taking a bit longer than expected to launch. However, it's very possible that one or both will finally start selling in June. I don't know exactly what to expect, but I would hope that these 2 new products add a couple thousand dollars per month to the bottom line. I'm excited about this brand! I still believe that it could be a six figure brand. The gross profit grew by a whopping 143% during May, and has grown by 300% since February this year! The reason for the growth is obvious: I hired a part-time brand manager in January, and we have been testing and tweaking Facebook ads like crazy. We've found a winning formula with our ads, and we are now slowly scaling ad spend. Also, you can see that we launched a new product on our own website (not on Amazon yet). I know $150 isn't huge, but I'm happy with the start. We plan on launching this product on Amazon as well very soon. Fingers crossed for another good growth month in June! The Amazon Incubator is just a hodge podge of unrelated products that I sell on Amazon. Yes, the income is up $180, but it's not real significant. As you may recall from my last report, one of our products (that usually does $1,500 a month) was taken down by Amazon. We didn't know why at the time, but now we know. Apparently, part of this product had a patent on it, and the patent holder asked that we take the listing down. So, we won't be selling this product anymore. I feel terrible that we even sold a product that had a patent on it in the first place. We made some assumptions that were incorrect. (Lots of other sellers were selling this “part” so we assumed it wasn't patented). Fortunately, there are no legal proceedings, we simply took the listing down, and that's the end of the story. Close call. But lesson learned, spend more time on due diligence before launching a product. Overall, for all my brands the income was up a couple thousand dollars. I'm happy with the way that May turned out. 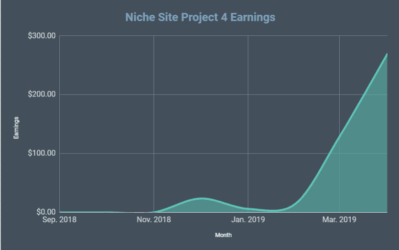 When you add the reported income to the launch of Niche Pursuits Insider and the my new software project that is in the pipeline, I'm feeling quite positive about the future. Overall, if you have any questions or thoughts, I would love to hear from you in the comments below. Thanks! Inspiring income report Spencer. Somehow, I missed joining Niche Pursuits Insider, will keep in check for future openings. Thanks. Spencer, how are you handling sales tax with the Amazon products? That is the biggest concern I have about entering into this market. you can use either tax jar, inventory lab or download the reports from Amazon directly from your sales reports. A lot of excel work with that because of the formatting. On your Amazon listings, make sure to set it as A_GEN_TAX in order to capture sales for all orders from your nexus. Jae is correct. (I would talk to your accountant about which states you should collect/pay tax in). Spencer is using normal accounting practice – if a number is (in brackets), it’s negative. Otherwise, it’s an increase. I’m impressed with your earnings from Thrive Leads. I’ve been looking into this software myself over the last few weeks! Congratulation for the niche pursuits insider lunch. Can’t wait to see the software you are working on. Yep, I’m hopeful that people will like it. You are really great. keeping track of $4.4 shows how deep you calculate things. You are inspiration for many bloggers ! I guess blue host income is much lowered and you should do something for this ! 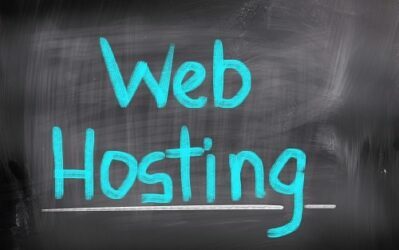 I’m not worried about Bluehost earnings, my focus is elsewhere. It’s possible to know how & where you invested in other websites? What did you do with the inventory for the patent infringement product(s)? Sure, if it’s not too much trouble. Can you email me what it is? I don’t like being wasteful if it won’t be useful. Nice work – thanks for sharing, Spencer! There’s a typo in the link to PointBlankSEO. I know, it makes up a relatively small percentage of your income and your audience can probably get there anyway, but I thought you might want to fix it. Thanks for everything, I always appreciate the insightful and valuable information you provide! Hey Spencer – just wanted to drop a quick note to tell you how inspiring this is! I have been following your blog for quite a few years. 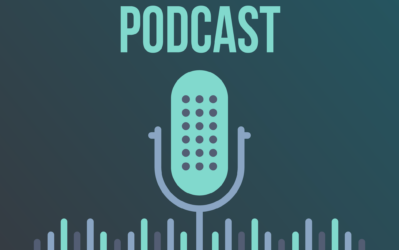 Recently, I finally decided to jump back into the affiliate space based on reading some of your posts as of late. Just sort of “lit the fire under my tail” so-to-speak. Again, kudos on the fantastic month and can’t wait to see you CRUSH IT in June! Thanks Bryan, its great to hear the positive feedback! Hope the fire stays lit! As a beginner, it gives me a great push to keep going even when at low times. Thank you for being transparent all along. I love following your blog and trying out your strategies. niche sites still relevant ? do we still can make money from niche sites. ? Yes, see my income report above :). (I have niche sites for each of my brands that push traffic to my products on Amazon…they definitely are still “relevant”…they are the reason you see the income numbers above). Great job as always. I could be wrong here, but do you mean Operating Profit or Gross? If the numbers are after advertising, shipping etc, should be considered as operating profit – which means your numbers are fantastic. Your monthly income encourages me a lot! Thanks for sharing. I was just curious but are you doing anything with Merch By Amazon? No income from Merch by Amazon yet. But Spencer, what is amazon product 1,2,3 in home goods. Do you sell your own product at amazon? How did you get into product business. Your income inspires me a lot, I am also running a multi-niche blog, but still facing the issue in ranking, Can you help me with your backlinks strategy and conversion rate optimization. Hey arnold, I don’t offer any one on one consulting if that’s what you mean. Such a great income report keeps us inspired and helps me to work even harder to reach such a level. I have a few questions I hope you will take your time answering. 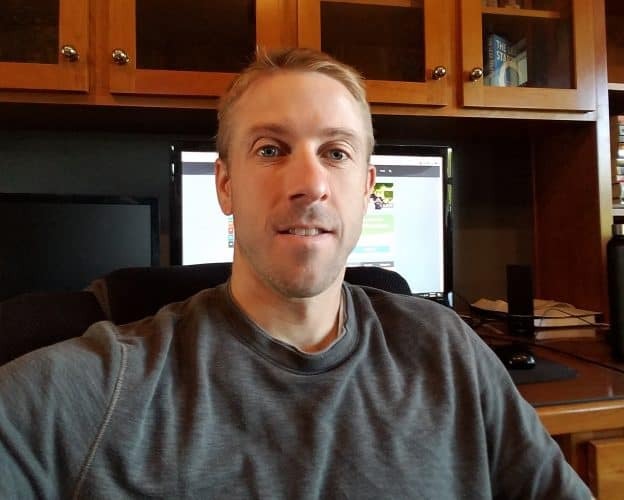 For your niche sites, the home goods site and the fitness site, is the adsence and amazon/ Amazon Associates posts what you earned without any product sales? and would you be able to make this amount without having the products (just selling other products)? Also this patented product that you have withdrawn. Maybe you can make an example of this? I often find it hard to understand how the process works without a really good example. Most often teachers/mentors uses a medium to low earning site/product an examples as they don’t want to disclose their top earners. Just a thought. Yes, the Amazon/Adsense is what it would earn without my own products. Very inspiring report. I appreciate your openess. One question, when you say you still have a portion in LTP, did you sell your stake? I still own a small piece of the business. Curious about fb ad success with music brand. 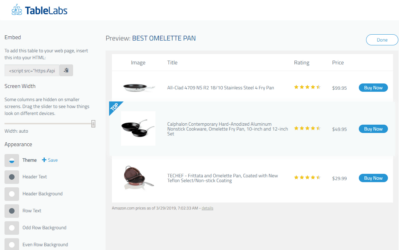 Have you written about how you use ads with amazon listings especially with conversion tracking? We sell the products on our own website. So tracking conversions is easy, because we are not sending paid traffic to Amazon. Its amazing some people can share their online income report and stories of success to inspire others.